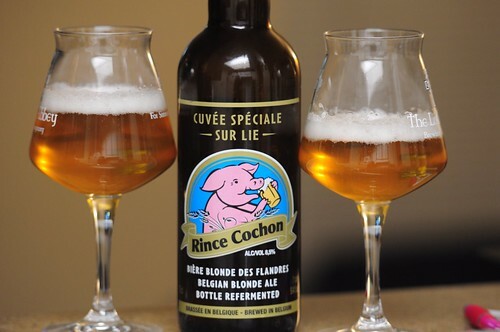 Brouwerij Roman N.V. Rince Cochon, originally uploaded by adambarhan. A- Deep golden color with a hearty white head, seen still lingering in photo. S- Disappointing, and the most incomplete aspect of this beer. Yeasty aromatics with some hints of pear, but nothing very pronounced. M- Soft and round which adds to the fruit and sugar mentioned above. Lacks refreshing character one looks for in a lighter beer.